Kids love to play games! Kids card games are not only thoroughly enjoyable, they are also a great way of building a child's life skills. Communication skills, math skills, thinking skills and social skills are an integral part of most games, while children think they are just having fun! Some games are simple enough for even young children, while other games are a little harder and require deeper thinking and logic skills. There are also games that suit adults and older children that can be played by younger children with supervision and help. From the simplicity of "Snap" to the more complex strategies of "Up the Creek Without a Paddle", there are card games for kids of all ages. A standard deck of cards can be used for hundreds of games. Most games are played without jokers and only one deck, but other games can include jokers and have two or more decks in one game. Most games are suitable for two players, and there are many that can suit up to eight or more players. 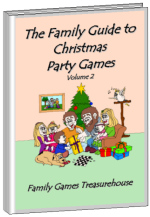 There are also games for one player, although these may be a little hard for very young children. 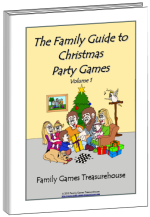 Click on the highlighted game of your choice below to view the full card game instructions on how to play the game. 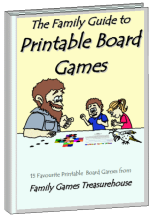 Simple Card Games that are suitable for younger children, with very few strategy or thinking skills needed to win the game. Advanced Card Games are good for older children who can think and plan. 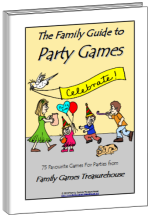 Some games may also be suitable for younger children with help and supervision. We hope you enjoy playing these kids card games. 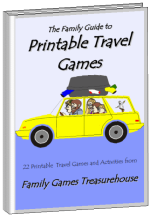 On this website you will find hundreds of other free games for you and your family to play together. Won't you stay awhile and have a look around?